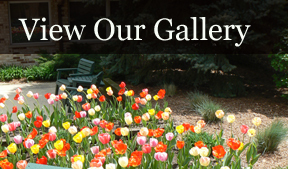 Timber Crest Landscaping & Lawn Care, South Holland & Tinley Park, IL. Senior Discount: 10% off for seniors 65+ on any service. 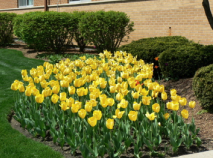 Timber Crest Landscaping & Lawn Care is a full service landscaping contractor and lawn care provider offering landscape installation, holiday lighting, and snow removal for municipal, corporate, and domestic clients throughout South Chicago and Northwest Indiana. Whether you are in need of landscape design, tree pruning or asphalt driveway seal coating, our professionals are qualified to handle it all. Our company maintains impressive customer loyalty by going above and beyond our client’s expectations. We focus on a simple concept that sets us apart from the other lawn care providers – quality! We use the best equipment, have the best people, and strive to make sure our customers are completely satisfied. It’s a winning combination! Timber Crest will provide the highest quality lawn care, landscaping, and other seasonal services related to our customer’s premises. These services will be provided with the highest levels of customer service, and in a timely, professional manner. Our company will provide an environment where people who desire to be lawn care and landscape professionals have the opportunity for personal and professional growth in technical skill and personal integrity. We want our employees to enjoy their work and reap the rewards of their labor. The owners of Timber Crest seek to humbly serve God, our customers, and to uphold the values that have made our country great. Call (708) 331-4130 or contact us online. We serve the South suburbs, including South Holland, Homewood, Tinley Park, Homer Glen, Orland Park, Palos Heights, Mokena, Frankfurt, IL & the surrounding communities. We also serve Northwest Indiana.